RPA has become the first hospital in NSW to have a high-tech 3D bio-printer on-site, which researchers say brings them a step closer to revolutionising a complex medical procedure for children across the globe. “RPA’s new machine has been specifically designed to create and make a 3D printed human ear,” Associate Professor Payal Mukherjee from RPA’s Institute of Academic Surgery said. 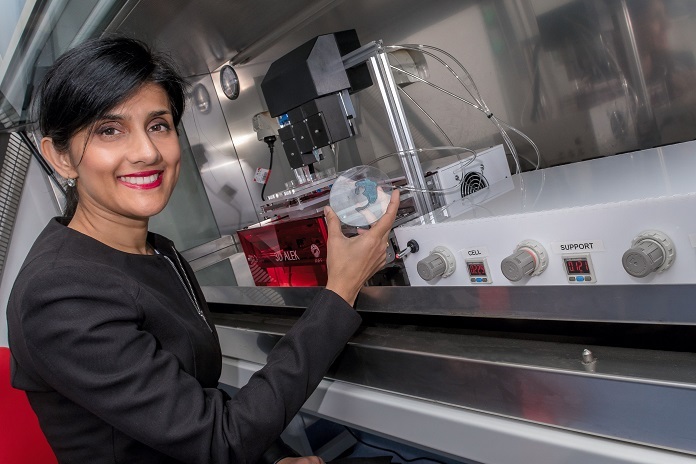 Associate Professor Mukherjee, an ear, nose and throat surgeon, is spearheading a three-year research project in collaboration with scientists at the University of Wollongong, who spent six months building the bio-printer ahead of its arrival at the IAS this month. The delivery of the bio-printer, nicknamed 3D Alek, to RPA is a major project milestone. “We’re at the forefront of the use of this type of technology. Having the new bio-printer here at RPA means we’ll be able to fast-track the next steps of the research project,” Associate Professor Mukherjee said. It’s hoped scientists will soon be able to grow human ear cartilage from stem cells using the 3D printing technology. This process involves scientists using stem cells to develop what’s called a bio-ink that the printer uses – combined with other materials – to create a living ear. In initial clinical trials, Associate Professor Mukherjee’s team aim to use stem cells from human tissues such as nose cartilage, that’s usually discarded during certain types of surgeries to further their research. “Now, we’ll have better access to living tissues because we’ll be close to patients at RPA,” she said. “We can go straight from the theatre to the laboratory. We can harvest the stem cells from discarded cartilage and use them to help accelerate the development of the bio-ink. You can only do that in a hospital setting,” she said. And, with future scientific advances, it’s hoped to eventually use a patient’s own stem cells to grow the ear cartilage and create a biological implant. “We want to be able to print an ear that’s customised to a patient’s individual ear abnormality and specific to a patient’s own facial features. We want to be able to print using the patient’s own stem cells,” she said. It’s hoped the technology will transform the medical procedure required for children who have microtia, a congenital deformity of the ear, and who would otherwise need to have complex surgery. Professor Gordon Wallace is the lead scientist on the project. He’s the director of the ARC Centre of Excellence for Electromaterials Science (ACES) at the University of Wollongong. “The research project has been driven by Associate Professor Mukherjee and we have formed a very strong partnership,” Professor Wallace said. The bio-printer was built by a multi-disciplinary team – including scientists, biologists, physicists and engineers – at the University. “It’s been quite a challenge. We had to come up with novel design strategies for the machine to reflect the complex structure of the ear and to allow for the growth of the ear,” he said. “We have now replicated the machine so there’s a printer at the clinical site at RPA and at the University of Wollongong Laboratory. “Having a bio-printer now in a clinical environment is a critical step towards future success. It not only facilitates research but raises awareness about other applications of this technology. “Associate Professor Mukherjee is determined to use the technology to deliver a practical solution. And I’m confident that we can do it,” he said. 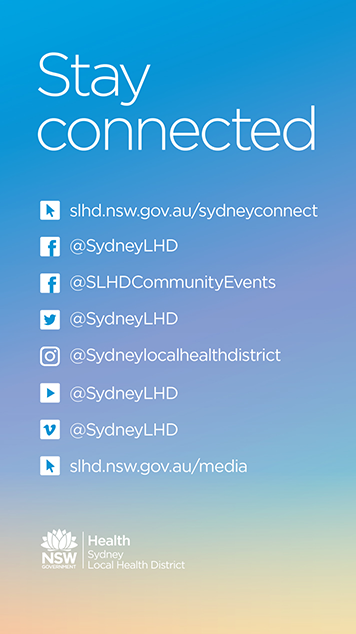 Sydney Local Health District chief executive, Dr Teresa Anderson, has proactively championed research into the use of this type of technology NSW. “RPA researchers have a strong track record of rapidly translating the latest advances in science, technology to patient care,” Dr Anderson said.